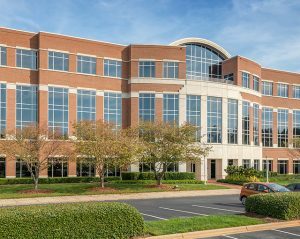 IT company Cognizant Technology Solutions will add 300 jobs to its University City location at The Grove office park, the company announced recently. “We’re pleased to again expand in North Carolina and in Charlotte, home to many of our large clients, and a region with a strong talent base,” said Francisco D’Souza, Vice Chairman of the Board and Chief Executive Officer, Cognizant. The state’s Economic Investment Committee approved a Job Development Investment Grant (JDIG) of up to $2 million to support the company’s expansion in North Carolina. Cognizant is one of the world’s leading professional services companies. Cognizant is ranked 195 on the Fortune 500 and is consistently listed among the most admired companies in the world. The company currently employs more than 2,700 people in North Carolina. Cognizant currently employs more than 960 people in Mecklenburg County and said it will invest $5 million here over the next five years. Cognizant’s Charlotte operation is located in The Grove V office building at the corner of West W.T. Harris Boulevard and Mallard Creek Road. The company plans to continue growing at that location, a company spokeswoman said. Through the work of the Cognizant U.S. Foundation, established in 2018 with an initial grant of $100 million from Cognizant, the company also promotes education and workforce initiatives to develop science, technology, engineering and math (STEM) skills in America’s current and future workforce. The Foundation made its inaugural grant, in the amount of $1.5 million, to Goodwill Industries of the Southern Piedmont in Charlotte in May, with funds directed toward increasing digital skills education opportunities for area residents. The company will add a variety of positions over the next five years, including IT application developers and testers, and business consultants. Salaries for the new positions will average $68,317, which is higher than the current Mecklenburg County average wage of $65,285. Cognizant’s expansion in Mecklenburg County will be facilitated, in part, by a Job Development Investment Grant (JDIG) approved by the state’s Economic Investment Committee earlier today. Over the course of the 12-year term of this grant, the project will grow the state’s economy by an estimated $704 million. Using a formula that takes into account the new tax revenues generated by the new jobs, the JDIG agreement authorizes the potential reimbursement to the company of up to $2,012,250, spread over 12 years. State payments only occur following performance verification by the departments of Commerce and Revenue that the company has met its incremental job creation and investment targets. JDIG projects result in positive net tax revenue to the state treasury, even after taking into consideration the grant’s reimbursement payments to a given company.